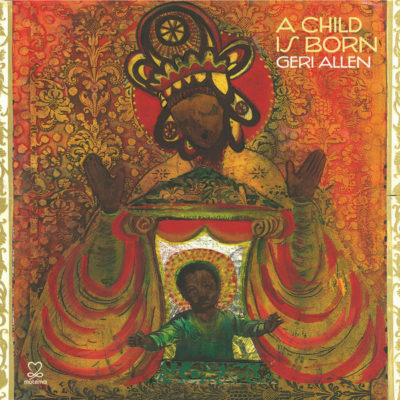 Christmas albums tend to be a blend of the traditional and familiar with the style of the recording artist, and jazz pianist Geri Allen’s A Child Is Born is no exception. Allen has a technically proficient, often elaborate style as a pianist, and she uses it in her evocations of Christmas carols and hymns. There is a slight nod to Ethiopia in the brief versions of “Imagining Gena at Sunrise” and “Imagining Gena at Sunset,” as well as the cover art of a black Madonna and child by Kabuya Pamela Bowens, and Allen occasionally employs a Fender Rhodes electric piano or even a Hohner clavinet for unusual effects, notably on her original “God Is with Us” (a musical setting of the Biblical passage Matthew 1:23). Most of the time, however, she takes on tunes known by most Western listeners, playing the melodies in strong right-hand statements backed by often contrasting left-hand rhythms on acoustic piano. Then, she takes off into complex improvisations that only touch back now and then to the melodies. Her playing sometimes has a new age quality, like George Winston in a slightly jazzier mode. So, this is a holiday collection for the more adventurous jazz piano fan, rather than for someone looking for a safe, warm, and fuzzy set of jazzed-up Christmas tunes.